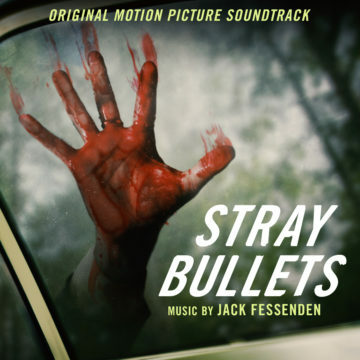 STRAY BULLETS original Motion Picture Soundtrack composed by Jack Fessenden. … fascinating, and very well produced … Give it a try. Stray Bullets is a 2016 American thriller film directed by Jack Fessenden and starring James Le Gros, John Speredakos & Larry Fessenden. In upstate New York, two teenage boys are tasked with cleaning out their father’s old mobile home on an abandoned property, but the boys are in for a surprise when they discover three crooks on the run have taken refuge in the trailer. 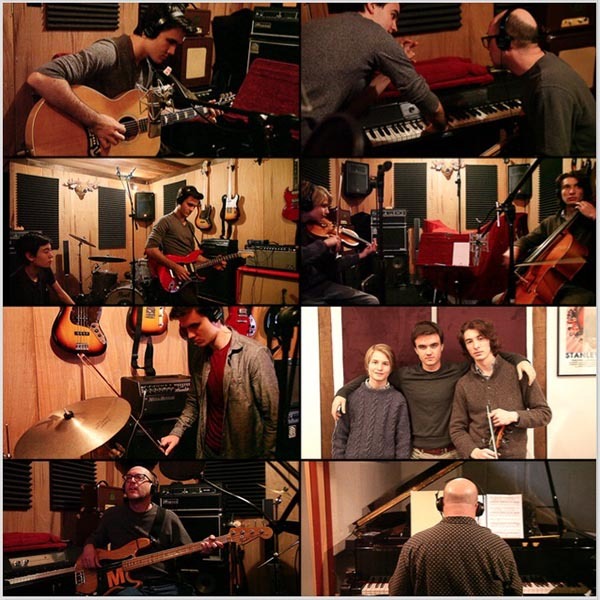 The score is composed by Jack Fessenden. I’m always fascinated by projects like this where the writer, director and composer is the same person. What could possibly be better? Imagine you’re writing a film and have 100% complete creative control over how the movie feels and sounds, that’s got to be a great feeling. There’s no way of knowing whether people like it or not of course, but in a world where the composer has to create a score based on the director’s wishes, this approach would be ideal. The score opens with ‘Ricochet’, a short cue with lots of ambience and mood and not much else. That’s fine though, I appreciate good moods and I particularly like the retro feel it has. The synths used feels like they could have been used in an 80s horror and as an 80s fan I appreciate that. ‘Air’ is even better with a distinct feeling of desolation and claustrophobia. You won’t find a big orchestra here and lavish orchestration, but you’ll find an intimate take on the thriller genre. I find the music fascinating, and very well produced, even with a limited budget. I find that the inspiration might be from more classic horror films, not necessarily the typical thriller feel you had with scores in the 80s and 90s. I don’t think the sound and feel of the score is unique enough to separate from the masses and I fear that this score might just be another one of those you listen to and forget quite easily. That’s the gamble Fessenden takes with this approach, but it doesn’t really matter if it pays off in the movie which is the sole purpose of the score. The production value is quite high for a typical indie approach, and it is quite pleasant to listen to on album. 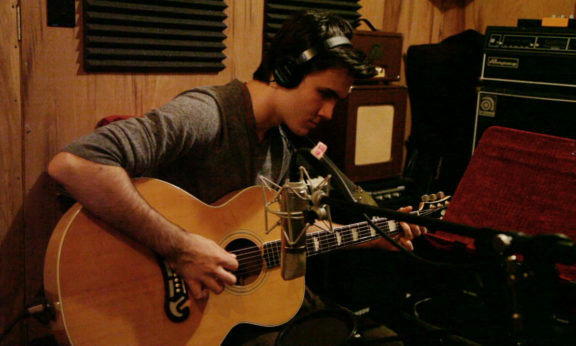 I like the instruments used and although there’s no theme to hold on to in my experience, the music gives me something. I wouldn’t say this score taps into your emotions, it certainly didn’t grace mine, but I was still fascinated by it, partly because of it’s retro approach. Give it a try. Even after Stray Bullets picture-locked, my biggest creative challenge still lay ahead: composing the score. I had used pieces by Cliff Martinez, Brian Eno, and Philip Glass, among others, as temporary music in my edit to help myself understand what mood I was hoping to evoke with the score I would go on to write. 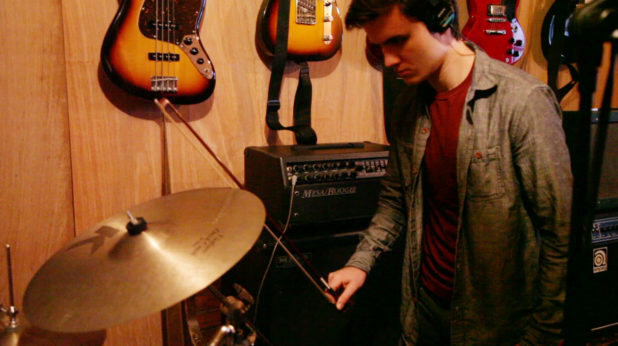 I worked with Christian Noll, a fellow musician and friend from school, to help get started with developing chord progressions and sounds for the music, and soon felt confident enough to continue on my own and compose the entire feature film’s worth of tracks. 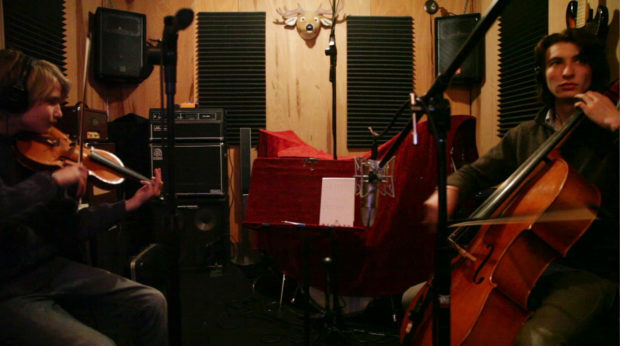 We recorded in only 4 days, inviting friends from upstate to come down to play bass, cello, and violin. 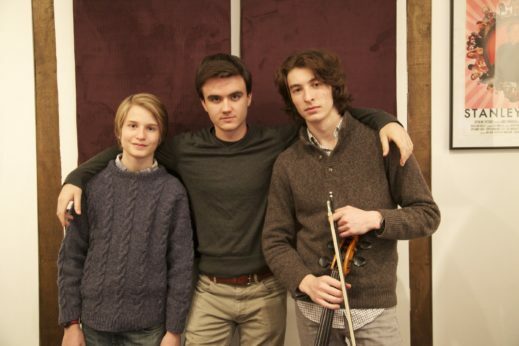 Asa Spurlock, my co-star in the film, and his younger brother Cyrus made up our string section, and Mark Lerner of Phoenicia, NY offered a unique bass tone that occurs throughout the score. I played most of the other instruments, drums, keyboards and guitar, expanding upon previous ideas and coming up with totally new ones in the moment. 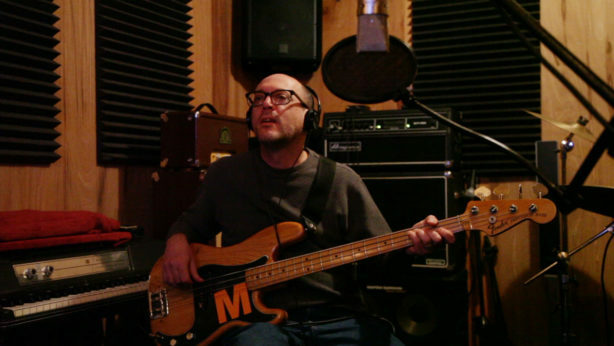 I like to enter the studio with a solid understanding of what is needed and an openness to working spontaneously; I had made crude recordings of several of the main pieces with different parts and instrumentations mapped out, but other themes were less developed, and were discovered and refined in the studio. 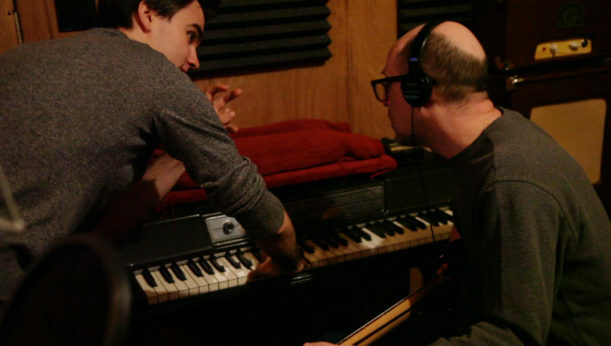 Never have I handed a musician a sheet of notation; I like to talk with collaborators and get them on the same page and then see what they have to offer, how they respond to my direction. Improvisation, especially with a largely atmospheric and ambient score such as this, is how we found the most memorable sounds. 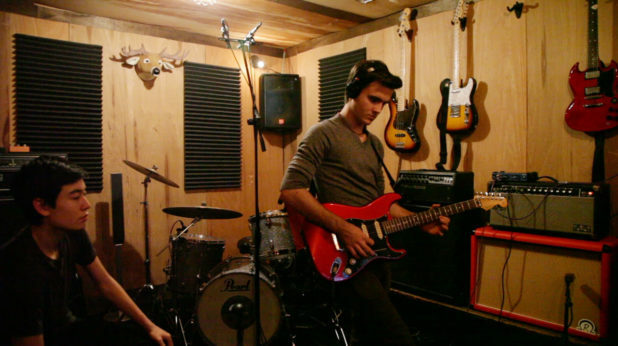 I believe it is in those last minute adjustments and additions that the music can really come into its own. We mixed the music right there in the studio, Underground Audio on 3rd street next to Hells Angels, and were out of there in the afternoon of the 5thday. Sometimes I question myself before entering into an ordeal like this, fearing that I hadn’t done enough to prepare, but by surrounding myself with like-minded and willing collaborators, meticulously articulating my vision to them and letting them make of it what they will, I was able to shape the material and expand my original themes into the moody score I was looking for.